Young Thug released a new album last week. It did not sound like old Thug. Slime Language -- a project his label 300 Entertainment promoted by delivering live snakes to various press outlets, including NPR Music's New York office — sounds entirely too safe. Gone, fans have lamented, is the Thug who surprised the hip-hop world five years ago with incomprehensible lyrics delivered via his inconceivable gift for melody and melisma. Alas, hope is not lost. Today Thug dropped a new loosie on Soundcloud and it's every bit as unexpected as the old Thug. This is not just any song, mind you, but a remix of Elton John's 1972 classic, "Rocket Man." Turns out the trap star and the rock star have history. Two years ago, The Fader reported a collaboration between them was in the works after Thug's label arranged a meeting. 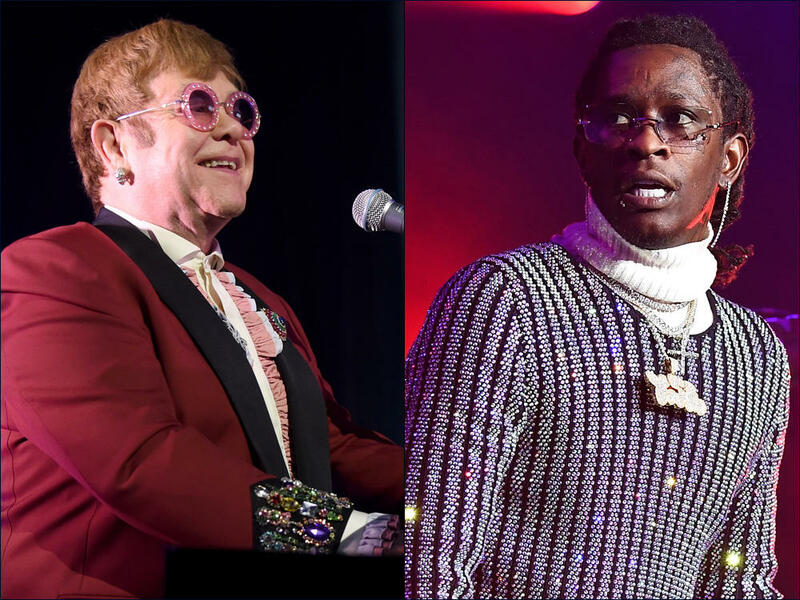 Thug's pained version of "Rocket Man" is a bit more profane — which is to be expected — but, maybe, also prophetic: After all, he's sing-rapping a song originally recorded about an astronaut whose out-of-this-world lifestyle fell short of his own expectations. Hard not to imagine Young Thug can relate. "If you say you got wings and some fish, then you probably fried," he raps, trying not to let the world blow his high. Thug's stratospheric trajectory may have cooled some, but he still one heck of a "Rocket Man." This Elton John remix is all the proof the world should ever need.